Do they sell sea shells by the sea shore? 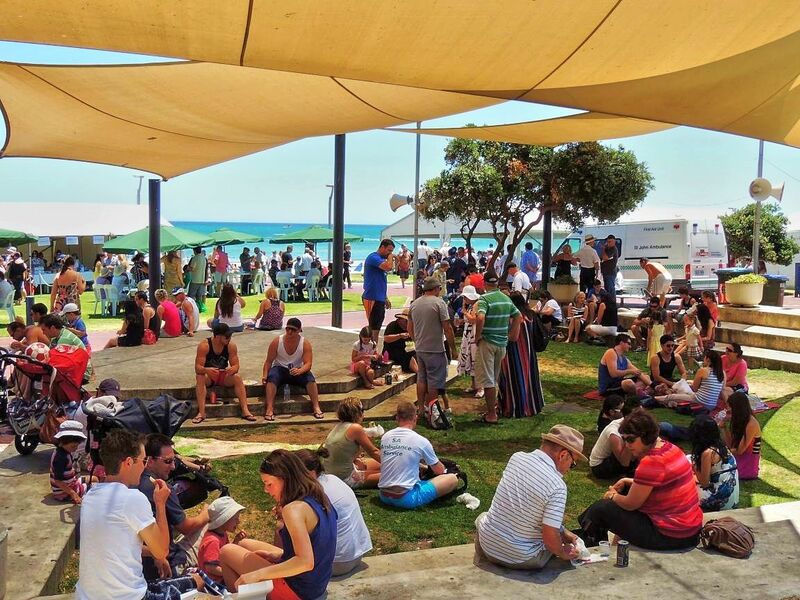 The Henley Square precinct is a popular place to meet friends for a meal or a drink, a place to maintain social connections right on the sea front. Development at Henley Beach has brought in a new lease of life, with Henley Square Pavilion and restaurants spreading from Henley Square to Seaview Road and beyond. 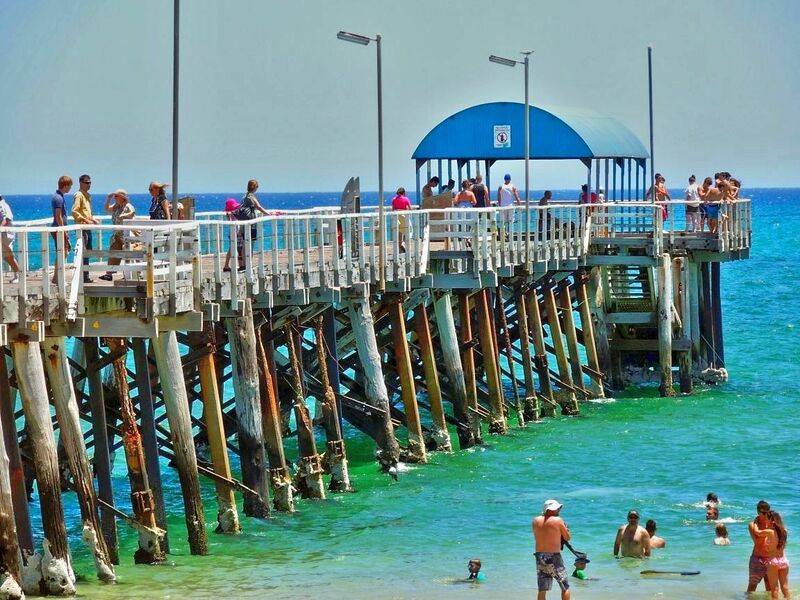 In summertime, the Henley Square is teeming with life, with people strolling along Henley Jetty to catch the sea breeze, while thousands of families and singles are on the beach or swimming in the sea. I'd rather go to Henley than Glenelg any day - the atmosphere is much more friendly and relaxed, without being jostled by crowds. With so many people visiting, dining and shopping at Henley Beach it was the obvious place to have markets in Adelaide's warmer months. The Henley Square Market is one of the newer markets in Adelaide, and have quickly become established as one of Adelaide's popular boutique street markets. 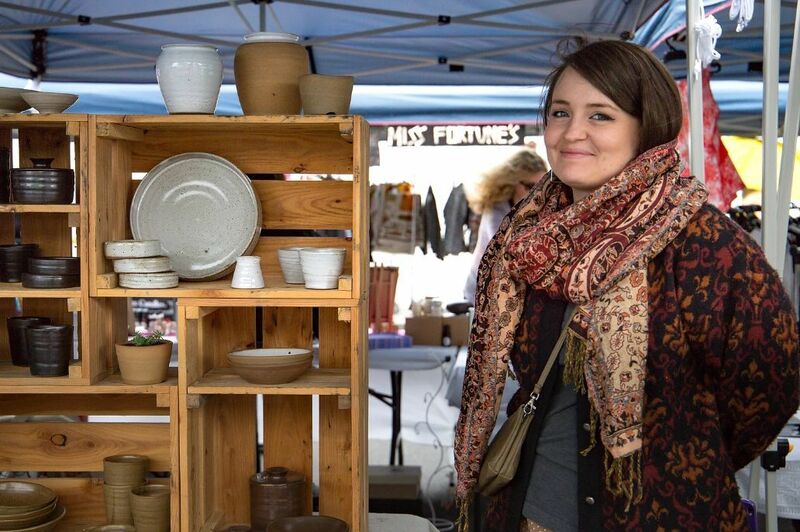 There's a focus on arts, crafts and fashion at the markets, showcasing artisan goods and handmade creations of local makers, artists and designers. 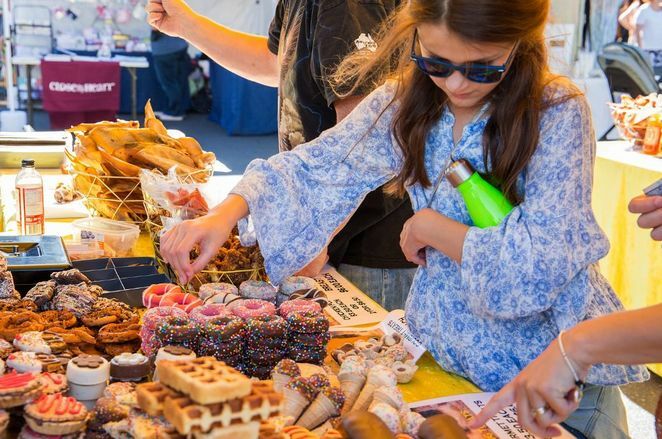 Of course like all markets there are tasty food offerings from food trucks and pop-up shops, as well as the plethora of world food that's always available from restaurants and cafes around Henley Square. Henley Square Market is a family friendly event, with something to entertain all ages. You'll find around eighty specialised market stalls offering a range of gifts, jewellery, clothing and kitchen wares. Of course, you will also find activities for kids too - face painting, children's rides, great quality coffee and a local DJ mixing the tunes to entertain the crowds. When you pass the admin desk ask about the freebies available courtesy of major sponsors the Bendigo Bank West Beach Community Bank. Also look out for a new stall set up with a space for kids to colour in. Come and wander the market on the last Sunday of each month from September until May from 10am until 3pm, you'll find all the event dates listed on the Make it Mine Markets website. You can get the latest updates about which market stalls and food options will be at the next market by heading to their Facebook page. 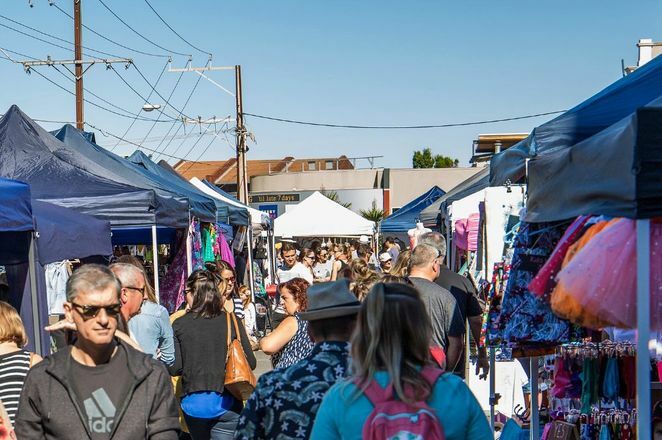 Whether you're a family with kids, or just want to go shopping with a special someone, these unpretentious markets in Adelaide's west are just the place to go for a relaxed Sunday browse.